I have been revisiting with Newman's Own Organics again over the last couple of weeks and I always get incredibly excited when I bring their products to you as they are truly some of the tastiest Organic foodstuffs that I have had the pleasure to try! They never seem to do any wrong and I can honestly say that i love everything - I know, you want to hear a fault but I absolutely have none to give and they are just top notch at what they do! I tried the raisins, prunes and berry mix and my children warmed to these right off the bat! The cookies were a total no-brainer and even the husband, who isn't a huge sweets fan didn't turn them down! 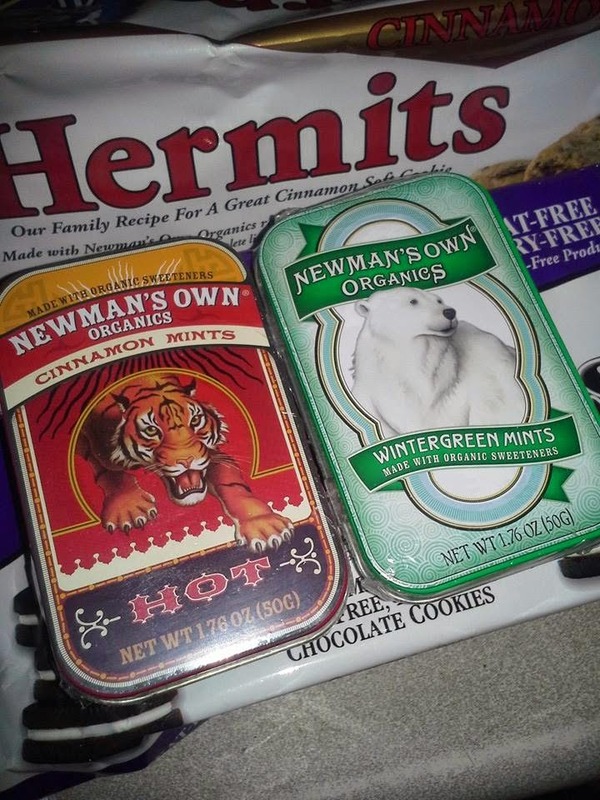 Newman's Own Organics has a little of everything from pretzels to chocolate, mints to olive oil and tea - they even have coffee, cookies, hermits and more! There are so many different goodies to choose from that you would be out their site for days trying to decide which to pick up, but inevitably you are likely to have to pick up a few to satisfy your curiosity in this brand! The Newman-O's, which are a cheeky little sandwich cookie, came in the wheat-free and dairy-free variety and went just as good with milk as any other cookie I have had in the past or will again in the future! They are soft and delicious and so moorish that you are going to want to race the rest of the family to them before they are all gone! 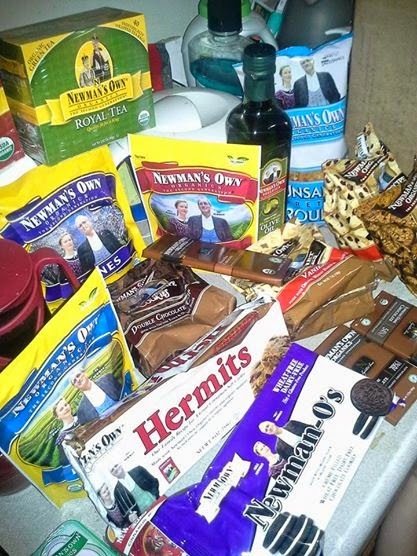 I tried to keep everyone at bay for the pretzels, chocolate and even the sour licorice that we tried but it was like a feeding frenzy - no one wanted to back down and each got a little claim on a slice of Newman's Own Organics goodness! I have tried these several times, now and every time they just get better - why not head on over to their website HERE and check them out for yourselves!? 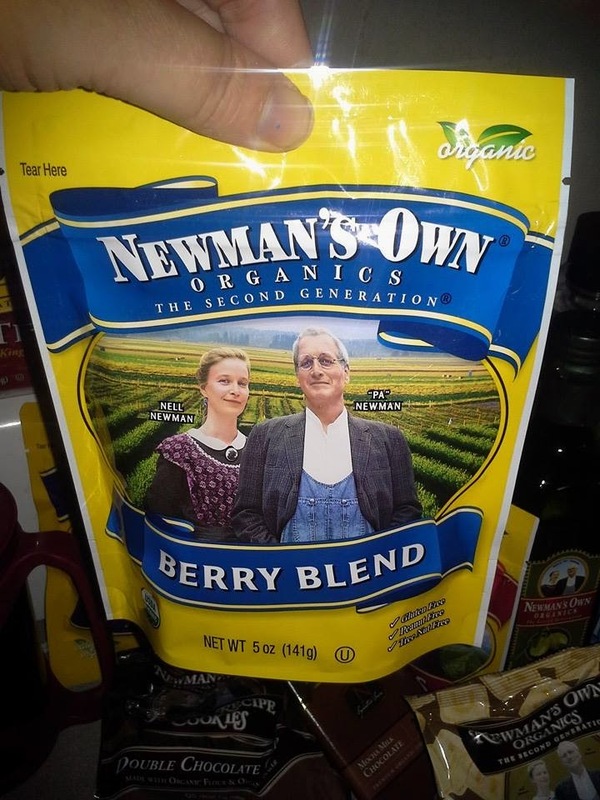 Alternatively, head on down to the bottom of this post for a chance to win some Newman's Own Organics for yourself in a featured giveaway! Disclaimer: I was given products to try in order for my honest opinion. I was not otherwise compensated for this review. Mom's Gone Bronson is not responsible for this giveaway or prize fulfillment. Thank you.